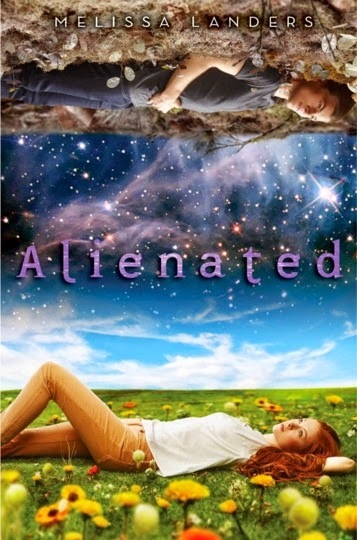 The second book in this series "Invaded" just came this month, and I kept seeing it all over Instagram, so I picked up "Alienated" to see what all the buzz was about. Two years ago, an alien race call the L'eihrs made contact with Earth. The advanced race was super evolved and with technologies that the people of Earth could only dream about. When the L'eihrs give Earth the cure to cancer as an act of friendship and goodwill, it directly affects the life and family of Cara Sweeney. Now, the L'eihrs and Earthlings are organizing a student exchange program to increase good relationships between the two races. There is just one problem, many of the people of Earth are afraid and uninterested in having L'eihrs come to live on Earth. And there are many L'eihrs that aren't interested in the alliance either. Cara is hand selected to be one of the exchange students, and before she goes to spend a year with the L'eihrs, she must host one in her home for a year. When Aelyx shows up, he's cold, blunt about how inferior humans are, and just... alien. But in Aelyx's case, alien also means really good-looking. ha. While Aelyx and Cara grow closer to each other, the world around them is ready to send him back to his planet by brutal, murderous force, and suddenly neither Aelyx, Cara, or anyone associated with them is safe. You know, I couldn't get into this one initially because I figure I already knew where it was going to go. Boy meets Girl, blah blah blah, true love, blah. Same old, same old. But I was determined to finish it and I was glad I did. While this story still subscribes to many YA literature cliches, the bigger story ended up being pretty fast-paced and interesting. The romance was pretty organic by YA standards and there was a lot of crazy stuff going on with the towns people and the true motivation of the L'eihrs. Overall, I considered this to be a decent read that wasn't totally predictable. Lander's voice is different too. I am not even sure how to describe it either. It sounds less refined and posed, and more like actual conversation and dialogue at times. Part of me didn't really like that, and part of me thought it was a nice change. If I'm not at least somewhat in love with the heart-throb by the time the book is over, I feel like something is wrong. I wasn't a big fan of Aelyx and didn't really feel all that attached to Cara. I feel like the characters could have been a little better developed, but luckily there is enough exciting stuff going on that this doesn't feel like a big deal until you're thinking about the story later on. The ending was pretty exciting. I'm already ready to track down a copy of "Invaded" so I can figure out what happened. While romance is still a big part of this story, it didn't feel like the BIGGEST part of the story, and I enjoyed that too. Aelyx can hardly handle the food on Earth. There are too many spices, flavors, etc going on for him to handle. He prefers bland, tasteless things like he ate at home. So I figured when you're sick and need bland food and drinks, flat ginger ale is pretty much a go-to. ha. You can drink that and pretend you're from L'eihr.